There’s a strong possibility that Meghan Markle might be using Prince Harry to help boost her Hollywood career. 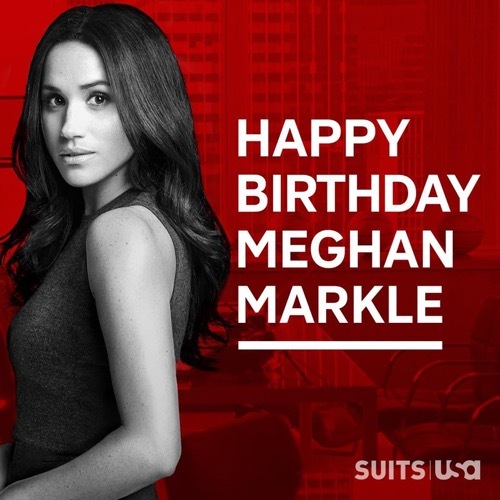 Many royal observers have noticed that instead of moving full-time to London to be closer to Prince Harry, she’s still working on the set of her USA legal drama, Suits. That’s because Prince Harry and Meghan Markle might not get married at all. For a lot of royal fans, they believed that Harry would have proposed to Meghan by now. After all, they’ve been dating for well over a year now. Plus, Harry has never met a woman like Meghan in his life before. She’s beautiful, she’s talented, she’s well-spoken, and above all, she’s passionate about her charity work. But for some reason or another, Harry just hasn’t done what he needs to in order to take their relationship to the next level. And for some, it might never happen. Plus, at this point, Meghan Markle might not even want to get married at all. The moment she becomes a member of the British royal family, her life will change forever. She won’t be able to freely travel to Los Angeles and Toronto to spend time with her family and her friends. And she certainly won’t be able to continue working in the entertainment industry, either. And or Meghan that might be the biggest problem. Meghan is now a household name thanks to her Prince Harry romance. Her show, Suits, has never seen better ratings before. She might not want to throw all of this away plus any possible future Hollywood opportunities. But if she marries Prince Harry, that’s exactly what she’ll have to do. Meghan will be forced to choose between having a career or being a princess because there’s no way that she’ll be able to have the best of both worlds together. Then again, Meghan might have known that she would never end up marrying Harry in the first place. They come from two separate worlds. If that weren’t enough, Meghan is American, she’s a Hollywood actress and she’s a free spirit. Queen Elizabeth might not want someone like Meghan in the family, knowing that she could possibly cause problems for them in the future. Of course, Prince Harry is yet to make any comments about his relationship with Meghan Markle or their future for that matter. In the meantime, don’t forget to check back with CDL for all the latest news and updates on Prince Harry, Meghan Markle and the entire royal family right here! Sign up for our Free newsletter by clicking here and get the latest breaking new on The Royals!